Born in 1967, Tamer Dovucu graduated from high school in Izmir, Turkey and graduated from the International Relations department of Ankara University in 1988. His interest in Western and Far Eastern philosophical approaches began in his university years. He later started work in banking, becoming a general manager in 1993. In this period, he did graduate work in sociology and began work on a doctorate in economics. And again in this period he developed a deep interest in personal development and management sciences. In 1997, he got married and took an executive position in London, UK, where he discovered “NLP in Management” and moved onto other applications especially educating himself with Milton Erickson’s teachings. 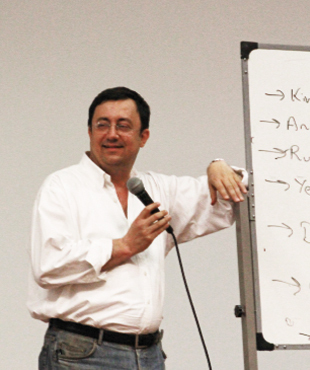 Returning to Turkey in 1998, he became one of the first NLP practitioners there and gave the first practitioner, master practitioner and advanced trainings in the country. In 1999, he published the book, NLP and Cybernetic Applications from Turkey as well as writing and editing many articles and books. Mr. Dovucu is the founding president of the Turkish chapter of the Milton H. Erickson Institute, which is the largest and most prestigious organization in its field. And since 2005 Mr. Dovucu has been providing trainings with the US president of the institute, Dr. Jeffery Zeig, as well as a team of doctors and psychologists. Between 2003 and 2008, he collaborated with Yeditepe University in the founding of the Yeditepe University Behavioral Sciences, NLP applications and Research Department, taking on the management of the department himself. In 2002, he began developing Neuro-Linguistic English, to resolve the issue of foreign language acquisition in Turkey, a model that has been optimized 10 times. This system can bring an individual with no previous experience in English to the upper-intermediate level within 3.5 months, and can prove its success with results from Cambridge University’s IELTS test. The system has been applied in collaboration with Yeditepe University between 2004 and 2008. 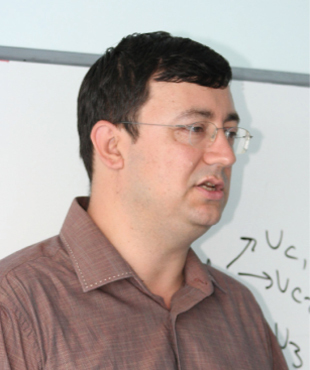 Mr Dovucu quit individual applications in 2004 and stopped providing NLP trainings in 2006, focusing his efforts in 3 areas: Ericksonian trainings for doctors and psychologists, Neuro-Linguistic English and his Optimum Balance Model. 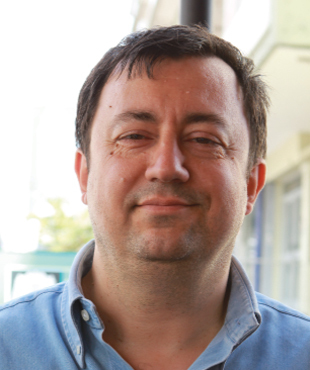 Since 2004, Mr Dovucu has been developing his original work, the Optimum Balance Model which conjoins his interests in philosophy, psychotherapy, and personal development. In 2011, the first public trainings in Optimum Balance began to be provided in the major cities in Turkey and has been attended by thousands of people so far. It is the first model of it’s kind to be developed by a Turk. Outside Turkey, Optimum Balance has been delivered to the general public in Germany and Italy, and in March 2012 was delivered with Dr. Jeffery Zeig, the president of the largest psychotherapy organization of its kind (with over 140 chapters worldwide). In 2012, OBM Business trainings were launched, and the clients have generally been the Fortune-100 companies of Turkey, primarily bringing in their mid and higher management. In addition, organizational transformation projects were delivered, and multinational bespoke interventions have been executed with clients like Shell. In December 2015, at the 12th Erickson Congress held in Phoenix Arizona, among the most important congresses in psychotherapy in the world, the Optimum Balance model was presented to the world for the first time. In 2016, the OBM Foundation was founded and civil society projects based on volunteerism in the fields of health, psychotherapy, education, business, and social problems have begun to be implemented. An online mothering school has been developed. The OBM continues its development in Turkey and the world.